A couple weeks ago, I was in Bangkok to meet a friend and talk business. My sister and I picked him up at the airport. It was almost midday. Our friend had a little to eat on his flight. He must be starving. I suggested we grab an early lunch. We went to my sister's place to drop off his luggage so we didn't have to drag the big suitcase around. It was his first visit to Thailand. His trip was strictly business. 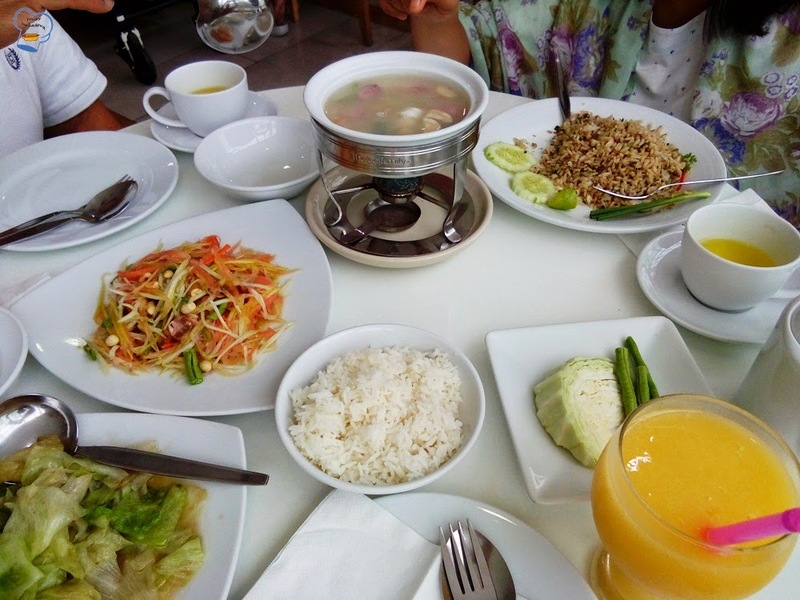 We took him to Lee Cafe for a Thai food experience to make his two-day stay memorable. 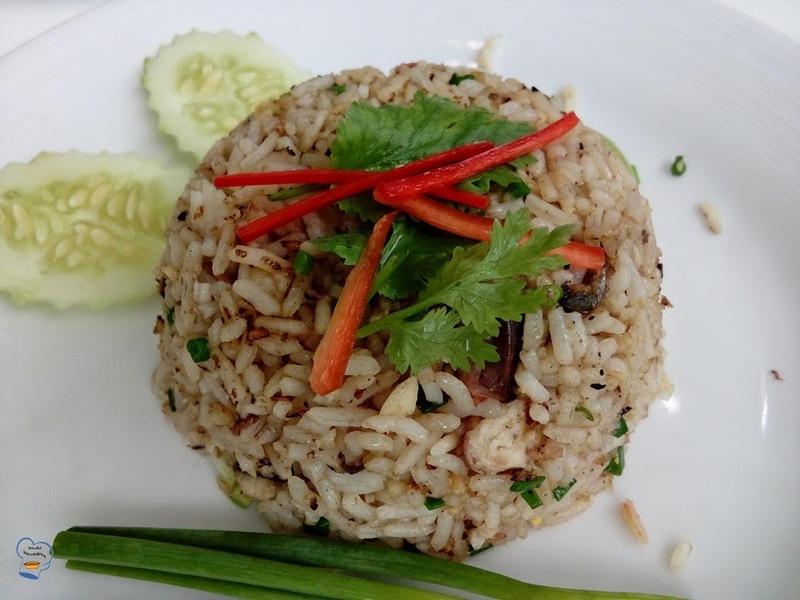 We ordered the most popular dishes that any visitors to Thailand must try. He loved the food! For him, it was an experience worth remembering. 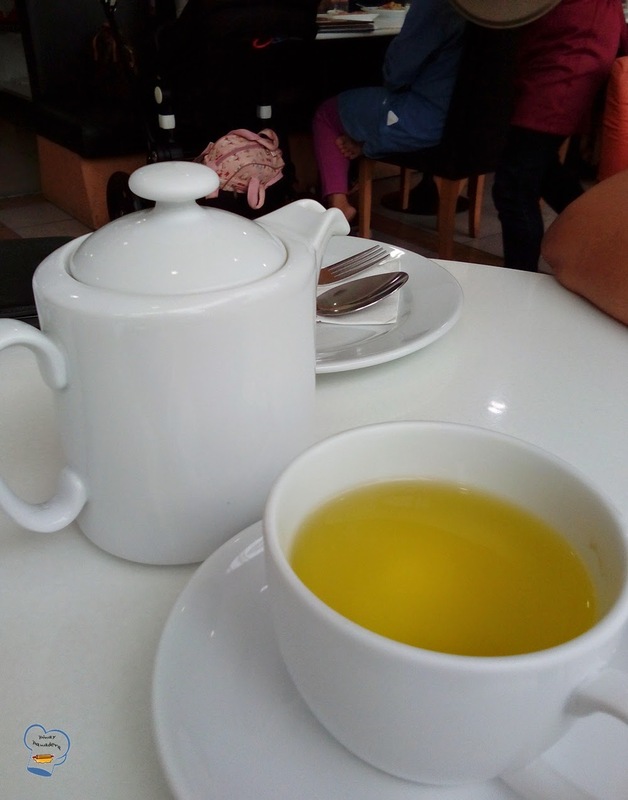 He and my sister shared green tea. We did a lot of walking that day. It was hot and humid. 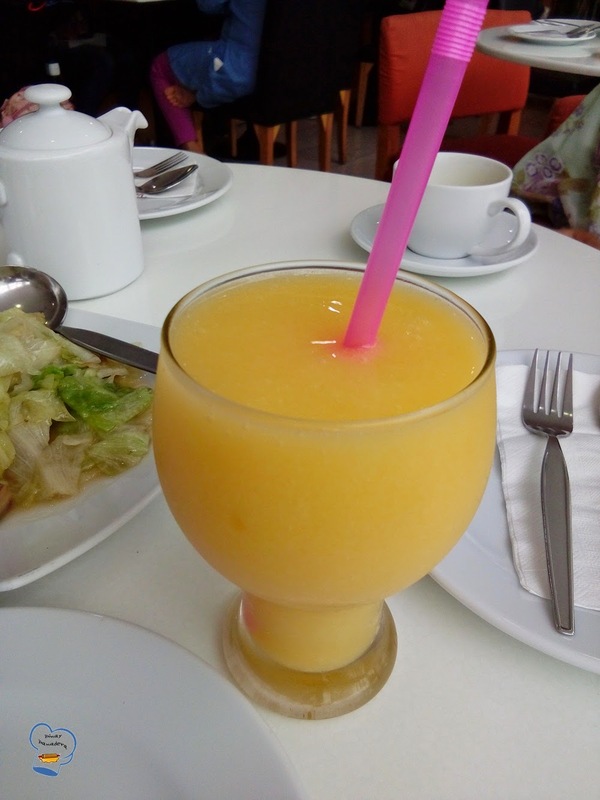 I went for mango smoothie to cool me down. 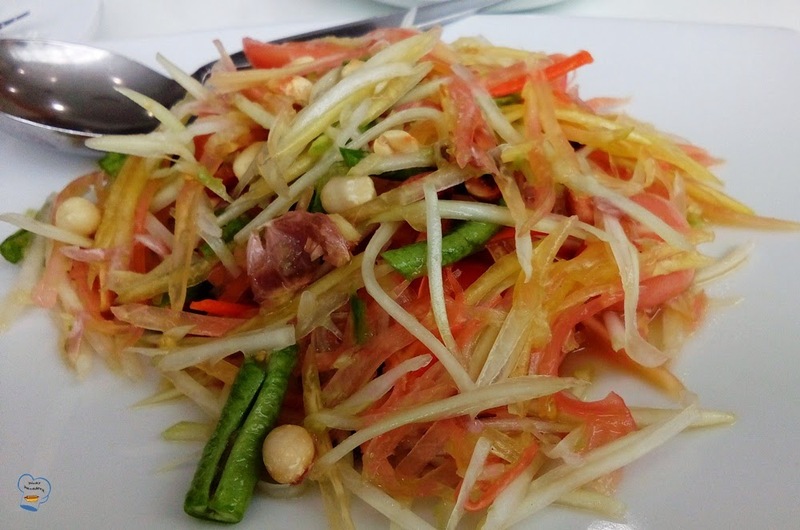 Somtam or green papaya salad was excellent. ( I prefer the hawker's version though). Our friend loved the burst of flavors and different texture in this dish. He finished it all up. My sister ordered mackerel fried rice to share and two servings of steamed rice. It was amazingly flavorful that we ordered two more servings. We had completely ignored the steamed rice once they were served. 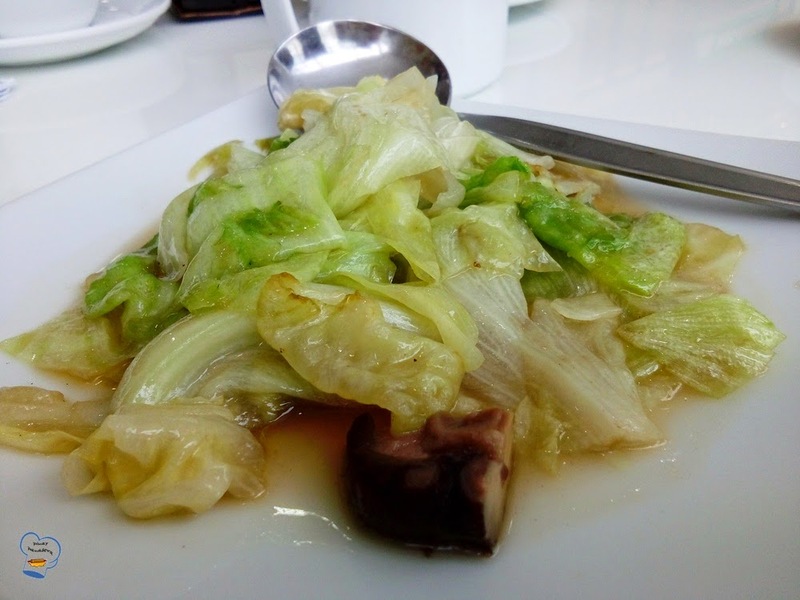 For my pescatarian sister, we ordered this stir-fried lettuce with shiitake. It was seasoned with soy sauce and not oyster sauce so we felt safe. 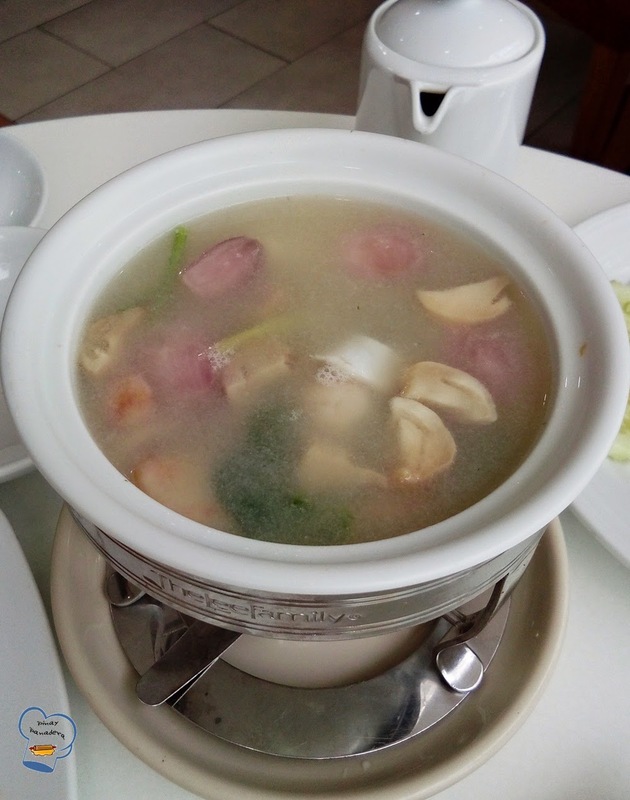 Thai dining experience wont be complete without tom yam ( hot and sour soup).It is packed with herbs and spices and is the signature dish of Thailand. We made sure he wouldn't miss it. We're not fan of hot and spicy dishes. We requested for a mild soup so we could enjoy the dish.I ladled some fish and broth on a smaller bowl for him. With the ooohhhsss and the ahhhssss in every sip, he certainly enjoyed this dish. 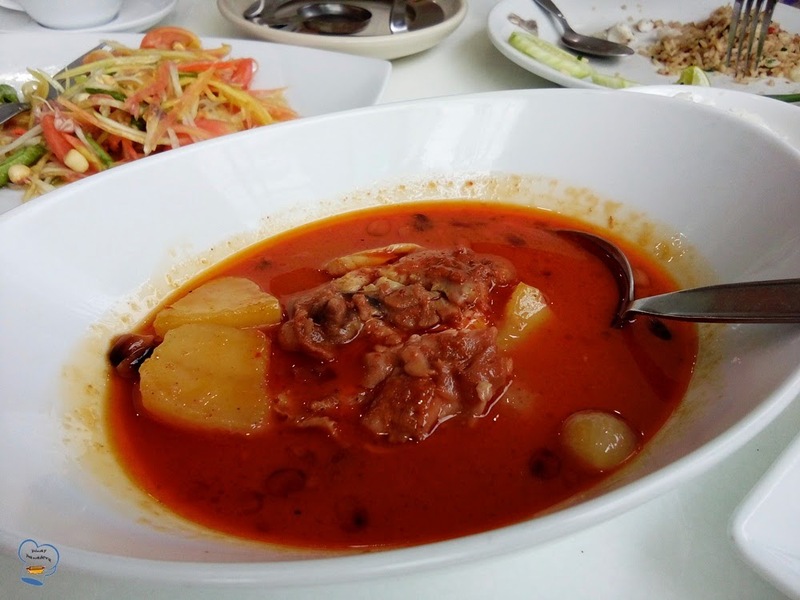 This massaman chicken curry was rich and creamy with chicken that was tender it easily fell apart when cut with a fork. Loved the potatoes too. I ate most of it. 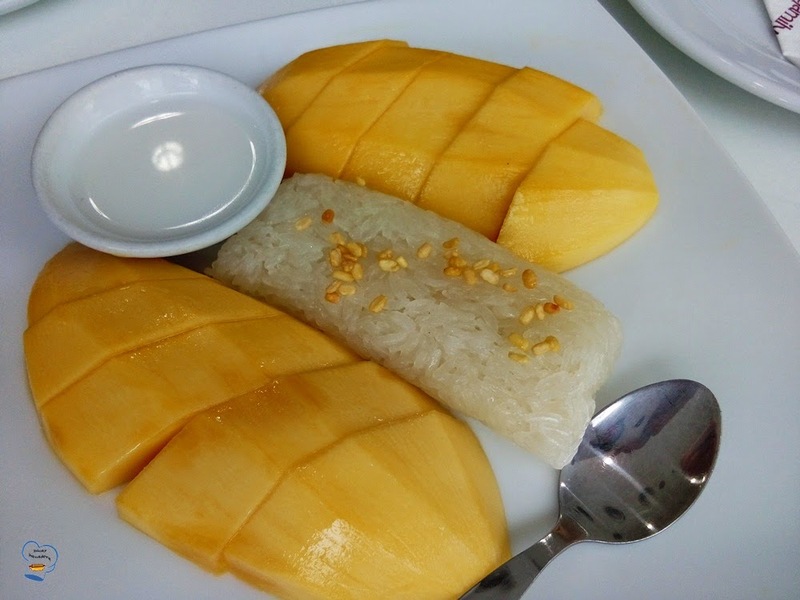 For dessert, I recommended mango sticky rice. My sister and I had a bite and we let him eat the rest. He couldn't get enough of it. In fact, he ordered another serving and ate it all up. We enjoyed a great meal while talking business. I think that's the way to do it.